Oh I love this. I want to be here. B&W is perfect for it. I love to look at bridges (do not like going over them!). This one looks OLD, and the B&W definitely makes it even look older. Gorgeous! And I like how the two arches combined with the "V" in the foreground landscape grass forms the shape of a heart. I love bridges although like Sandy I don't like going over them. This one does look old and the black and white really adds to that. It's gorgeous. That makes me think of Europe. I like the shot in black and white! Very nice! Great pic and love the use of b&w! Very pretty. 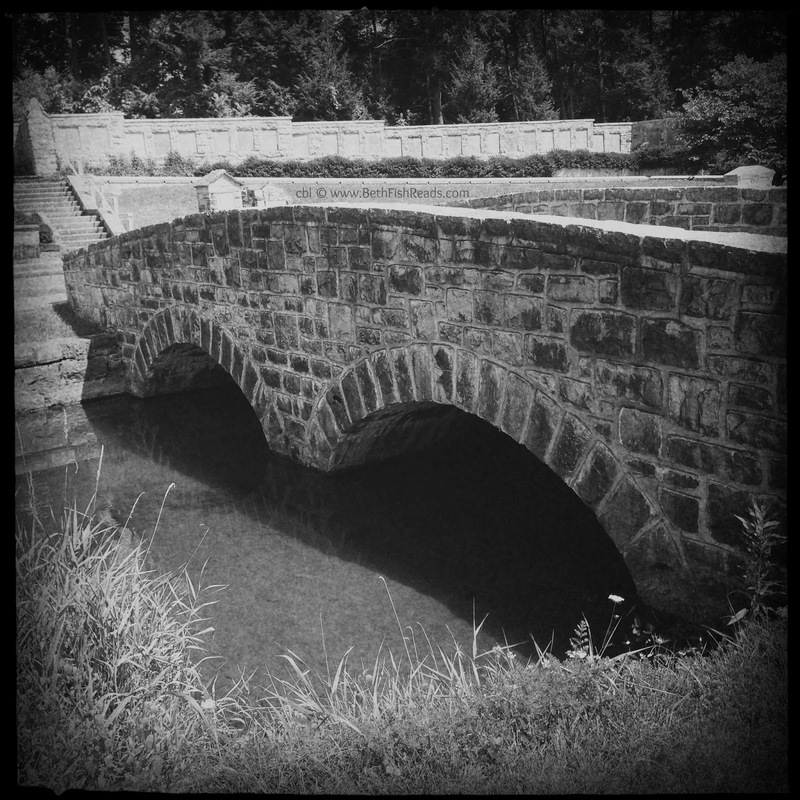 I love stone bridges. Nice capture of the stone bridge. The B&W brings out the texture of it.